A young woman enjoying a night out with friends was sexually assaulted by her Uber driver, according to the Palo Alto Police Department. The driver has since been arrested and police are investigating to see if there have been more victims. According to police, the victim had been in downtown Palo Alto when she used the Uber app to catch a ride home. 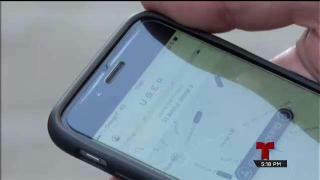 The victim told police she opted to use Uber Pool, which would have allowed other riders to join in and share fare, only the driver she met up with allegedly cancelled on all other riders and kept her locked in the car. Police say she was picked up by Rodolf Vjerdha, a 59-year-old Redwood City man who was driving a burgundy 2014 Kia Optima. She says that Vjerdha made her sit in the front seat of the car against her wishes and then repeatedly tried to rub his hand on her leg. When they arrived at the victim’s home, Vjerdha allegedly tried to kiss the suspect and asked to be let inside her home. The victim refused, and, after several attempts, she was able to free herself from the car, police said. Uber announced Sunday that the driver has been banned from being an Uber provider. Anyone with knowledge about this case or a case that may be related has been asked to call Commander Jeff Liu at 650-853-5904.